San Diego is full of fruiterias (or sometimes fruterias without the "i"), so whenever you're thirsty you can find one nearby. After our awesome 99 cent fish taco at TJ Oyster Bar, we went next door to Papaya's Juice Bar and Fruteria. Read my full review with pictures after the break. 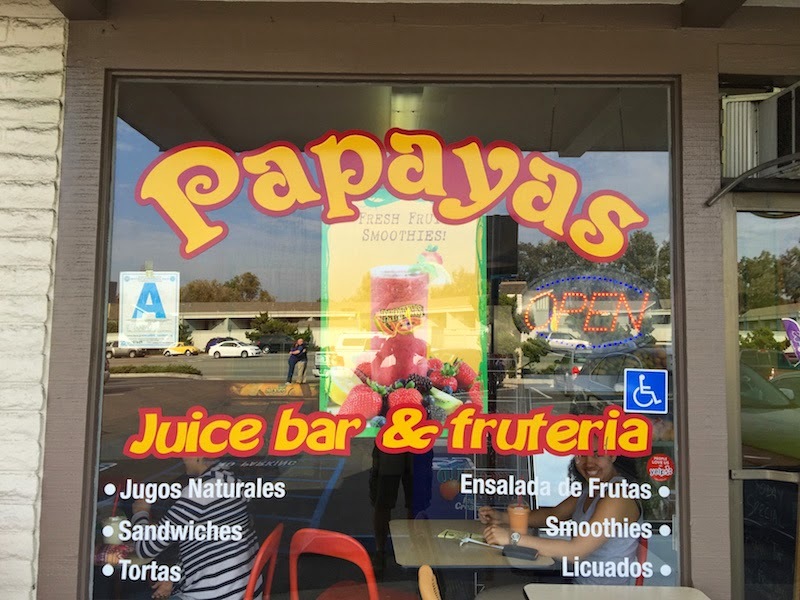 Papayas is in Bonita, CA right outside of San Diego. Tucked into a mini mall, it shares a lot in common with the other fruterias we saw on our trip: decorated in bright colors, with lots of fresh fruit on display. 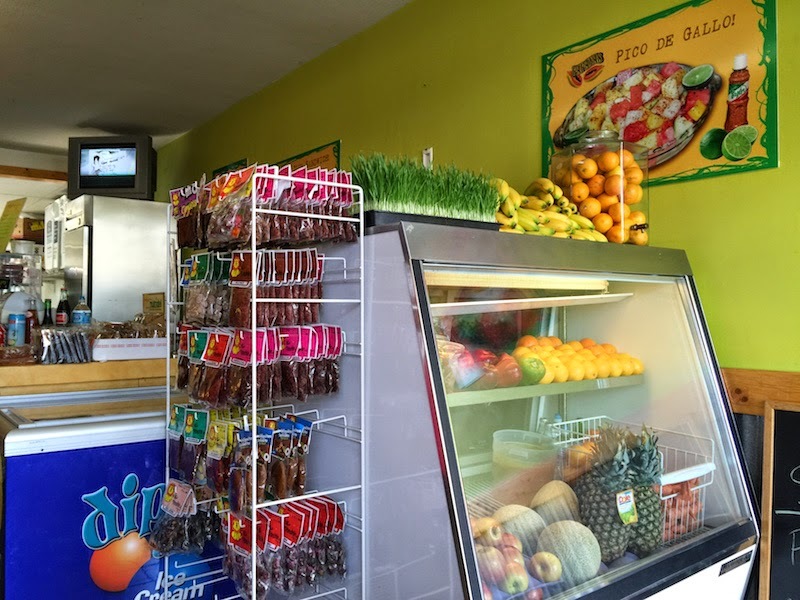 On the menu are smoothies, fruit juices, fruit and meat salads, and tortas (sandwiches). 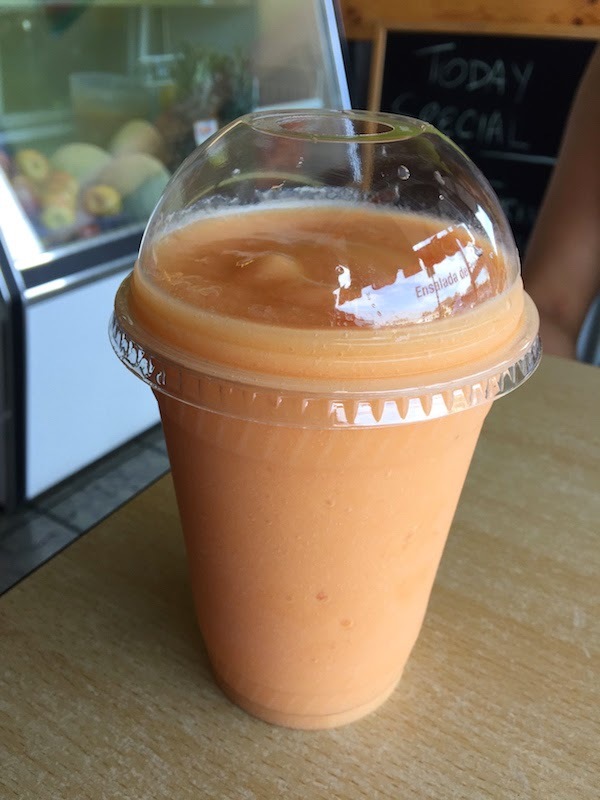 Papayas is clean, well-lit, and offers several tables to sit and enjoy your smoothie. Having just eaten lunch at TJ Oyster Bar, we only had room for the mango smoothie. But it was enough! Made with fresh mangos, it was thick and delicious. And not too cold, so brain freeze was not a problem. We loved it! Another excellent fruiteria in San Diego is Senor Mango's over in University Heights. Read about more of the restaurants and fruiterias I ate at while in San Diego.